The android known as Data is a unique life-form, for although other types of sentient androids have been encountered by the Federation, these are usually the creations of advanced alien technology. Unlike these incredible machines, Data is constructed by a human being, the learned and unconventional Dr Noonien Soong. Soon after his initial activation, the android embarks on a life that will see him constantly attempting to understand and emulate the humans around him. In a very real sense, Data is a technological representation of the fairytale PINNOCHIO, the wooden puppet who longs to become a real boy of flesh and blood. As a sentient being, Data already posseses the physical attributes of a human being, in form and function. He is fully capable of intellectual understanding of human thought proccesses and emotional states, but he is, for the first three decades of his existence, unable to comprehend the true meaning of humanity and the concept of emotion. This changes in 2371, when Data incorporates an emotion chip that allows him to accurately synthesize analogs of human feelings, in his early years, however, he struggles to comprehend the confusing nature of those around him. Even before he is fitted with the emotion chip, Data adopts many human mannerisms and habots. He does not need to indulge in activities such as eating and drinking in order to function, yet he engages in them as he believes that this will help him to better understand his human crewmates aboard the U.S.S. Enterprise. For Data the most ordinary human activities are a constant source of new information. The android officer is technically incapable of reciprocating the warmth of friendship, although he does make several close assosiations with several people aboard the Enterprise. Data`s closest human friend is Chief Engineer Geordi La Forge who, perhaps because of his own affinity for technology, finds irt easy to talk to the android, Data also takes his exploration of human relationships to a new level during his relationship with the Enterprise`s Chief of Security Tasha Yar. The two officers become sexually intimate while suffering from the effects of the PSI-2000 virus, Data retains a fondness for Tasha even after her untimely death later that year,and keeps a holographic record of her in his quarters. Data`s friendships extend to other Enterprise crew members, as shown by his asosiation with Lt Commander Worf, his respect and admiration for Captain Picard and Commander William Riker, and even a short romantic interlude with Lt Jenna D`Sora. The android has learned to care enough to put his career on the line for friends, in 2365, he risks violating the PRIME DIRECTIVE to save the life of a young girl named SARJENKA from DREMA IV, with whom he has been communicating via sub-space radio. Data`s desire to understand the workings of human interaction goes beyond mere friendship, however, in 2367, the android is asked by Miles O`Brien to act as "Father of the Bride" at his forthcoming wedding. He looks upon the event as a chance to learn more about human nature, and extends his research onto the holodeck, taking along Dr Beverly Crusher to teach him how to dance with the bride at the reception. 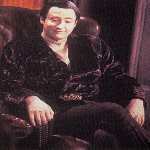 Data uses the holodeck on a number of occasions as a learning tool for his ongoing studies - notably in the concept of humour, he takes part in well known plays and stories in order to gain further insight, including the roles of Sherlock Holmes and the eponymous king in Shakespeare`s "HENRY V". This leads Data into acting with the Enterprise`s informal theatre group, and even performing poetry recitals. The android see artistic impression as an important part of the human condition, and not only embraces theatre,literature and poetry, but also classical music and painting, He truly attempts to become a renaissance android. despite his efforts, however Data has faced the possibility of gaining a complete understanding of humanity only once in his life. In 2364, the omnipotent being Q offers to make the deepest desires of the Enterprise`s senior officers a reality, Data`s deepest wish is to actually become human, and Q`s incredible powers mean that the alien could grant him this impossible dream, in a supremely human gesture, however, Data refuses to accept Q`s offer, he would rather remain true to his nature and make his own way toward his goals. Surely this unique android`s most human trait, however, remains his insatiable curiosity which compels him to continue to learn about humanity.